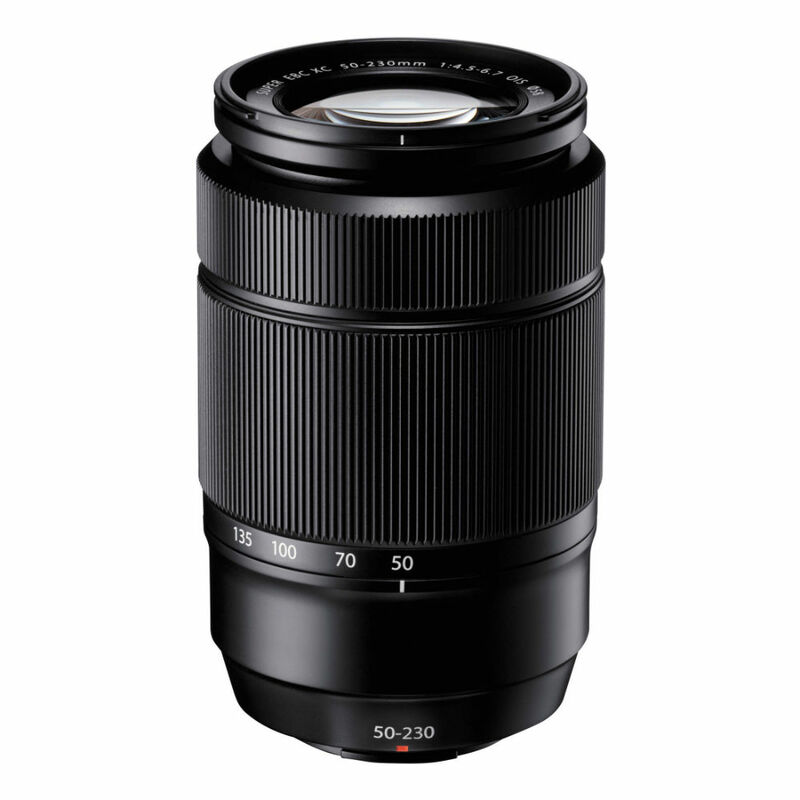 The XC50-230mm F4.5-6.7 OIS II telephoto zoom is constructed of 13 all-glass elements in 10 groups, including 1 aspherical lens element and 1 ED lens element. The lens demonstrates advanced optical performance across its focal range, producing clear images even when your subject is a long distance away. Its lightweight focusing lens and high-precision motor achieve quick and silent autofocus. The optical image stabilization function (approximately 3.5-stops) reduces camera shake in still images and videos that are captured hand-held. The FUJINON XC50-230mm F4.5-6.7 OIS II lens does not feature an aperture ring in order to make it compact and lightweight. When using this lens, please update your camera body's firmware to enable aperture adjustment via the camera's command dial.